Welcome to 30 Days of Painting! This month I’ll be doing a series of 30 paintings with the aim of growing more comfortable with a brush. 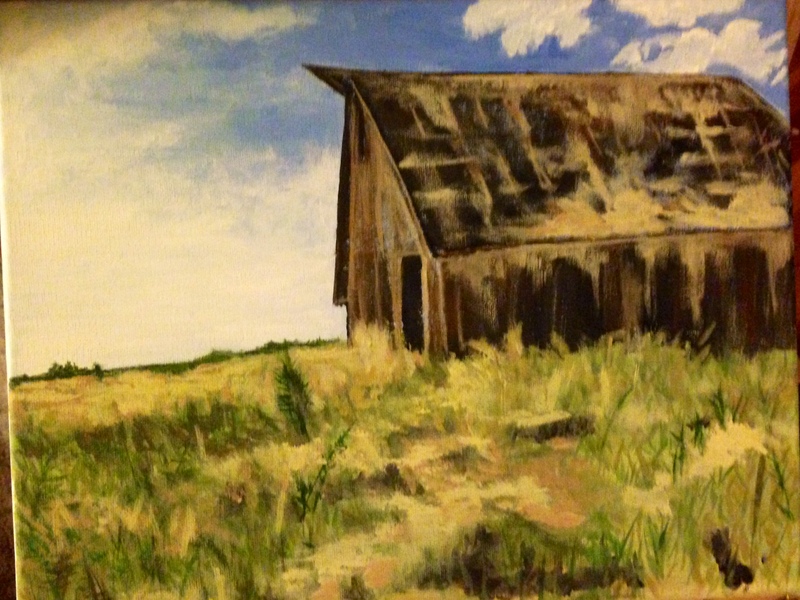 One of the toughest things in the world for me is painting grasses. There are so many shadows and highlights and colors that seem to map to nothing but mysteriously emanate from what seems like it should just be green, tan, and brown. But it also presents a wonderful opportunity to explore depth and color. I had a lot of fun with yesterday’s soybean field, and so I wanted to explore a similar vista from the same bit of farm land. I also wanted to explain my process a bit, and perhaps get a little tips. First, I lay down big color blocks in order to divide up the picture. I usually use this time to modify the scale of things, and create a general layout. I don’t have a picture of this first step, but mine started with a 2/3rds split between blue and green (sky and grass). Then I pick the largest, smoothest section and figure it that out. Its usually the sky. After that, I lay down a rough sketch of the main structural elements, and the first hint of shadows. Then I let it all dry for a while I contemplate my next move. Then I tackle the hardest part. In this painting, that’s the grass. The barn will be difficult, but since grasses are natural, they come with some added difficulties. So far I only have what I think is the middle layer of paint for the grasses – I put down some of the less obvious colors (the pink and the yellow) along with the brown, tan, and green, and started to add some shapes and contours to the ground. At this point I need to let things dry again, and so I’ll come back to this painting tomorrow. 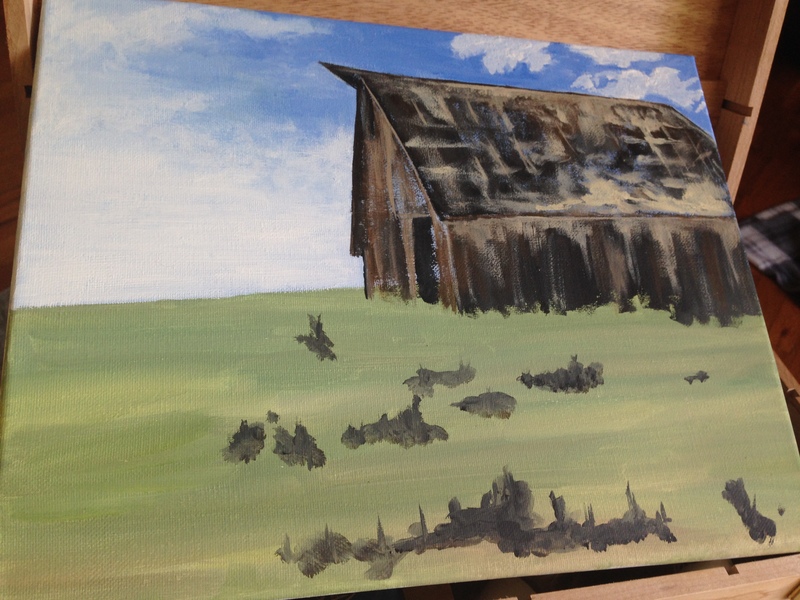 I also added some details to the barn while I was there, but there’s still a long way to go there too. Check back tomorrow for the finished product, and if you know of a better way to do grasses and dense vegetation with acrylics, I’d love to hear it.